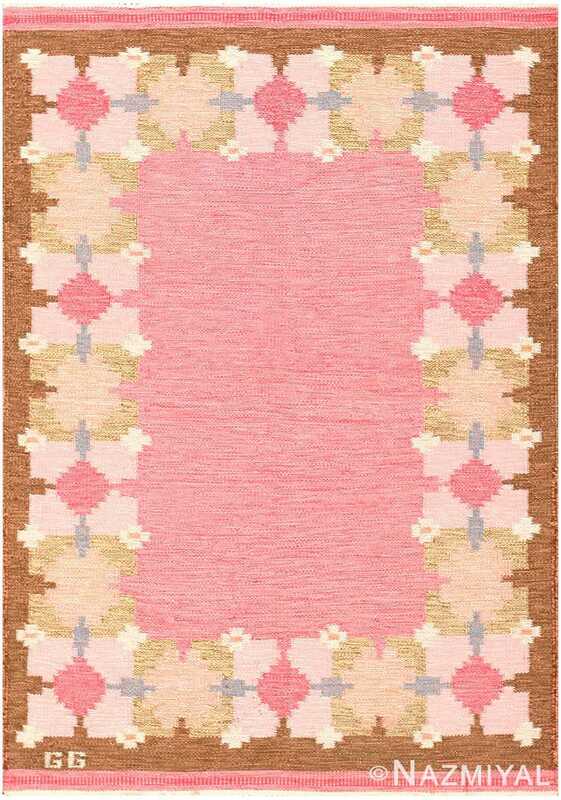 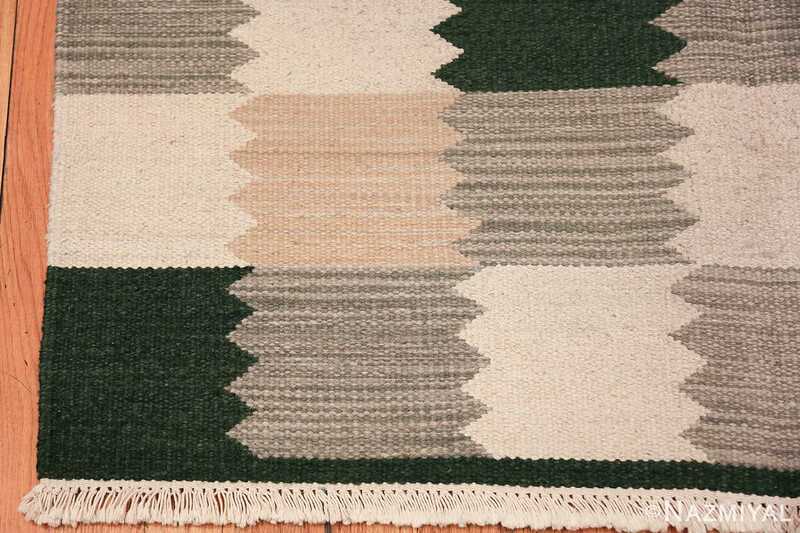 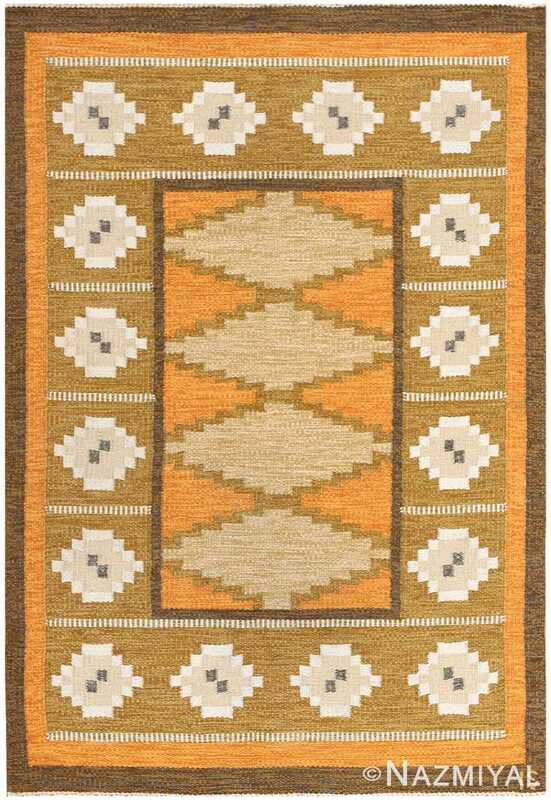 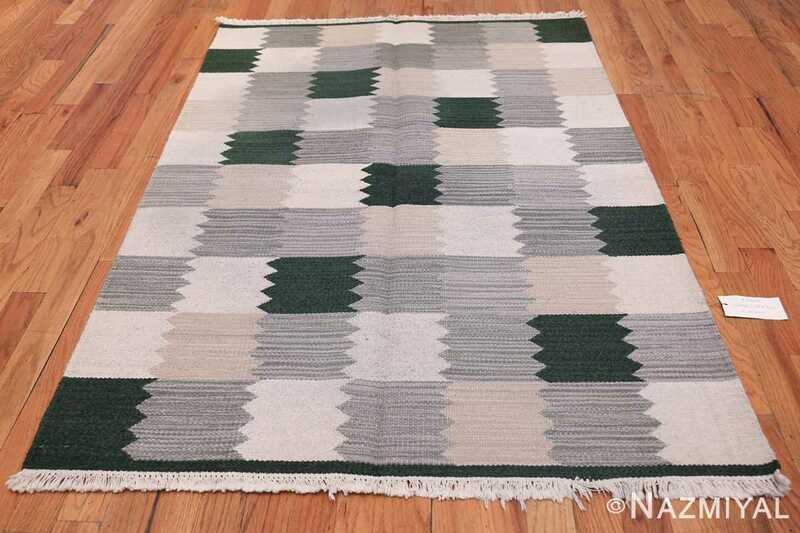 Vintage Scandinavian Swedish Rug, Origin: Sweden, Circa: Mid-20th Century- Here is a beautiful Scandinavian rug – a mid-century piece woven by the wildly popular modern rug-makers of Sweden. 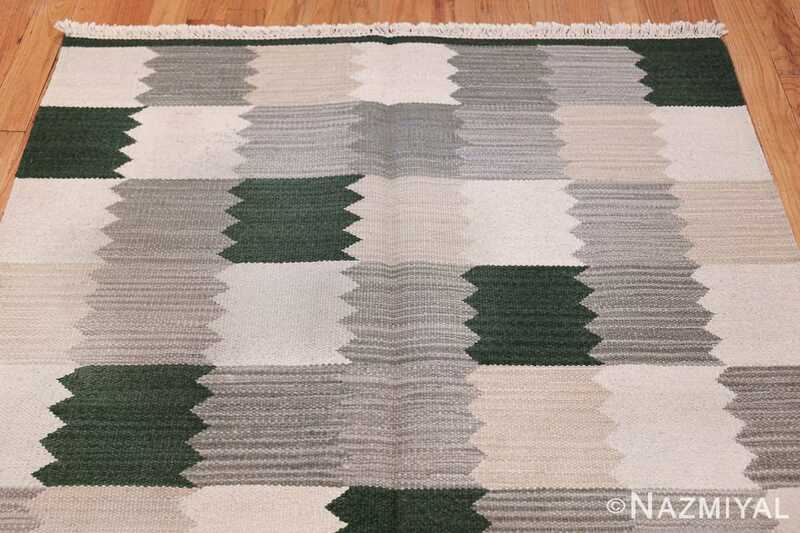 Superficially, this carpet consists simply of a grid work pattern, featuring seven squares across the horizontal, and ten squares up and down the vertical, with everything neatly interlocked. 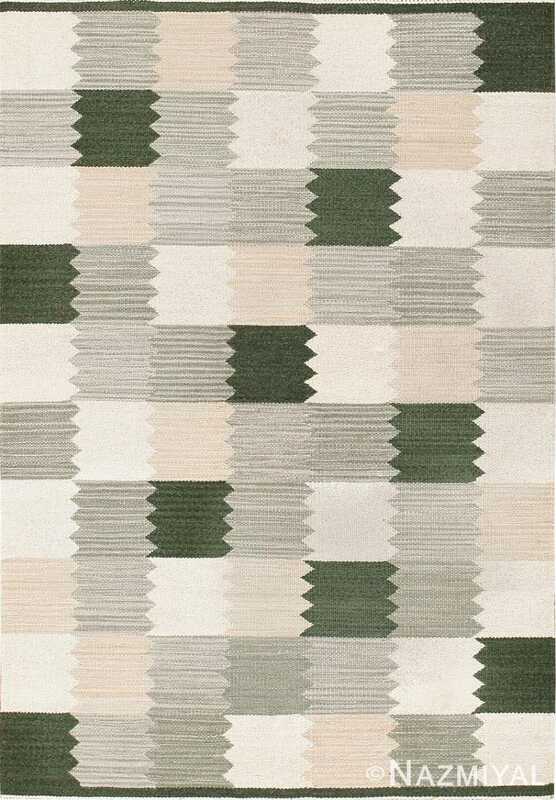 A popular design among mid-century Swedish designers, this grid work structure gives the carpet a sort of rigidity and solidness that generates an impression of something strong and long-lasting. 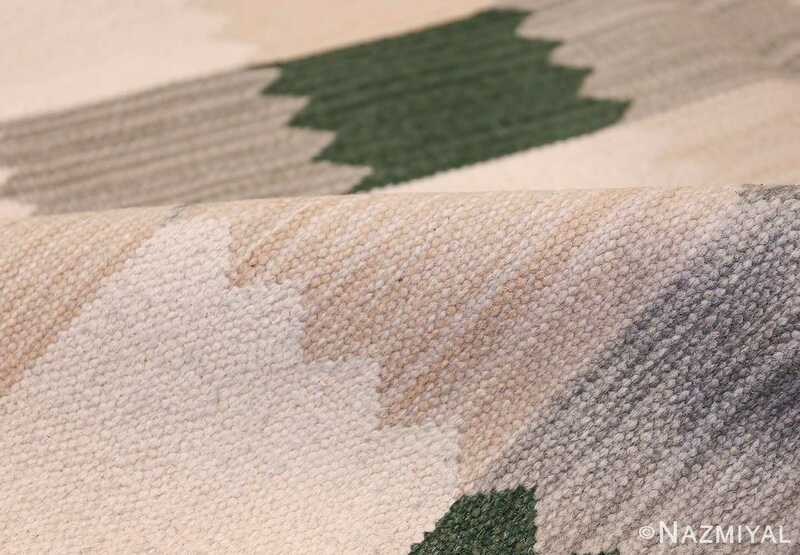 The color pallet of soft grays and earth tones reinforces this notion – combined with the geometric in elasticity of the solid grid, the tones of this rug suggest an incredibly solidly built structure. 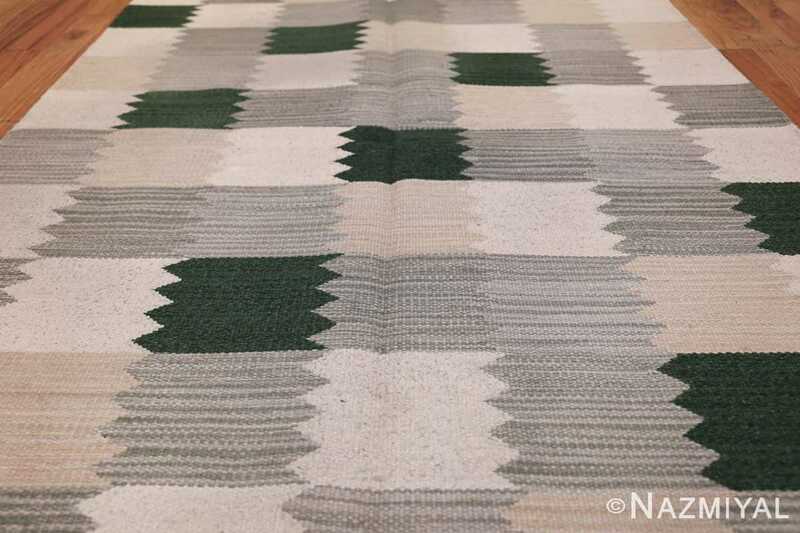 Meanwhile, the serrated right-hand edges of each square magnificently overlap with the left-hand edge of each subsequent square, creating a sort of shingling effect, adding to this rug’s architectural undertones. 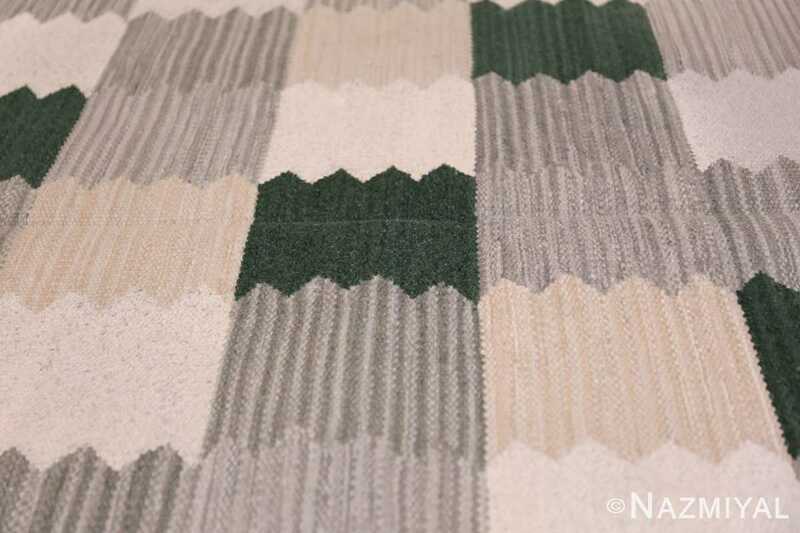 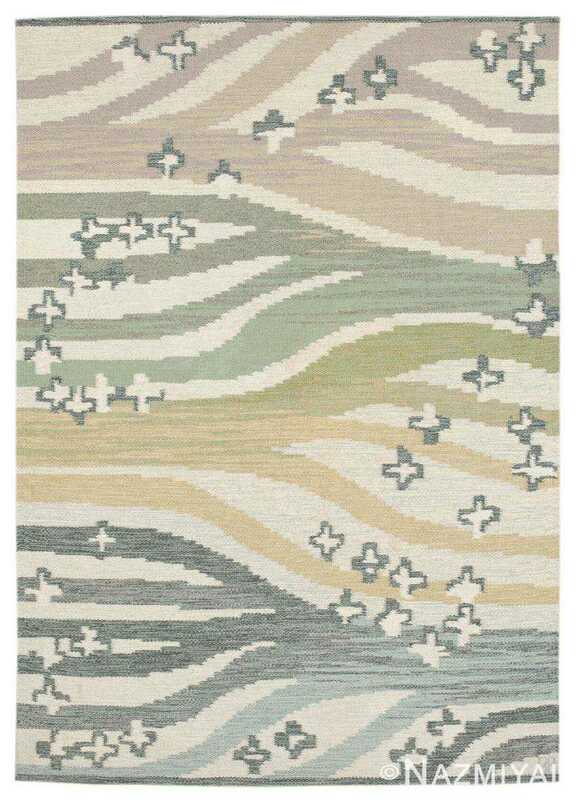 A seemingly simple vintage carpet that is in fact a multi-layered, complex composition, this mid-century modern Swedish rug is full of surprises.